Patios are nice, but besides the occasional hosting of parties and Bar B Qs they often become a nice looking empty space. And maybe you’re one of those people that hate having a waste of space in their home. What’s the point of having space if it can’t be put to good use? One way you can put your patio empty space into good use is to have an enclosure installed to make it more pretty and functional! 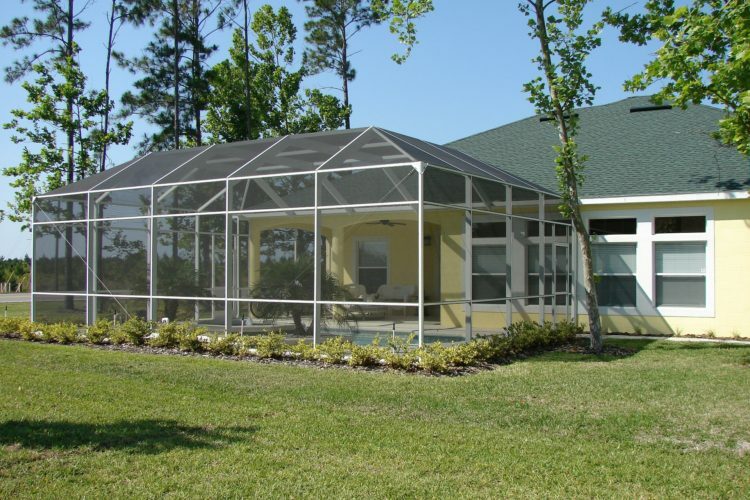 Having a patio enclosure creates this space where you have a little more control over the environment around you. Would you like to sit down and read a book outside, but you don’t want to be bothered by mosquitoes or other bugs? Would you like to get some work done on your laptop in the fresh air, but you’re worried about your laptop overheating in the sun? A patio enclosure can provide the space you need to enjoy the outdoors without having to deal with the not so fun aspects of being outside. It’s always nice to have extra space in your home regardless of the size of your house. A patio enclosure or screen room pretty much serves as an extension of your home to the outdoors so you can enjoy the outdoors while still in the comfort of your home. Besides the extra space, they provide they are also very aesthetically pleasing. Patio enclosures can add great value to your home in case you ever want to sell your home or if you’re not planning on moving anytime soon, you’ll enjoy looking at it and using it! Whether you use the screen room to enjoy a snowfall without having to be out in the cold or to watch a thunderstorm from the safety of your home, no matter the reason for this worthy home improvement project you need to make sure that you only hire the best of the best to do it for you! This is where we come in! AA Home Improvement Company provides the best quality workmanship and prices. We can ensure that the job will be done on time and within the budget you set! We’ve been in business since 1950, so you can trust that we know what we’re doing. Can you imagine sipping hot chocolate on some cozy furniture while watching the first snowfall of the year? We can and we can help. 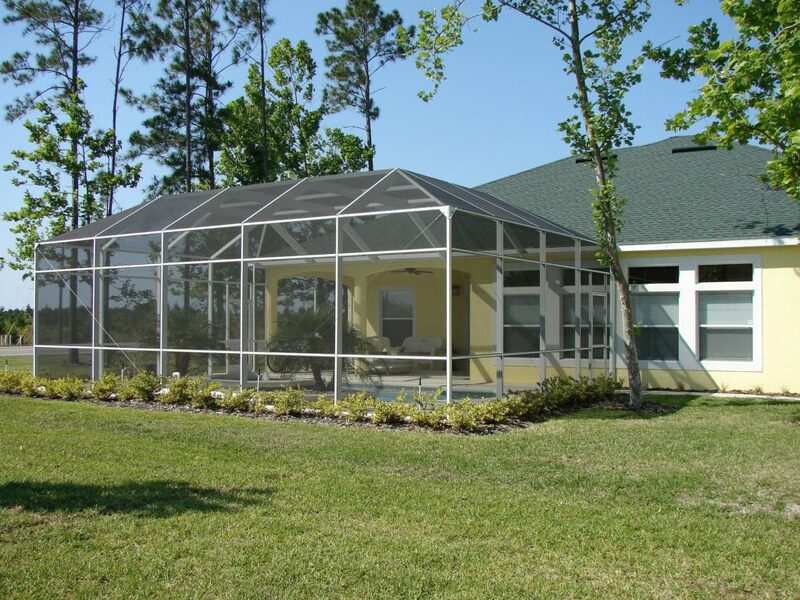 Contact AA Home Improvement Company to get started on your sun room today! Thank you for pointing out that these patios add value to your home. My husband and I are wanting to install a new patio in our home. I’ll have to look into finding the best contractors in my area to come and get everything done for us. My wife and I recently built a patio, so we are looking for an awning for it soon. I like your point about how patio covers can help deter mosquitoes. This would be ideal in the summer when they are out a lot. I found it interesting when you said that aside from adding value to our home, patio installation could embark on a new bonding activity for the entire family. In fact, it can also save us more time and money because we could just bring our food outside. We’ll surely include this in our major home renovation before the end of the year. I want to make sure that my patio is nice to be on. I can see why having a canopy enclosure could be beneficial! It’s interesting how it can basically be like being outside and inside at once! It is good that you stressed the fact that patio enclosures, aside from providing extra space, add value to the home, especially if there is a plan to sell the home. That is a good suggestion also since we have been thinking of what to do to make the home look very aesthetically pleasing. We will simply look for those who can make the patio enclosure possible and how much that will likely cost as soon as possible.